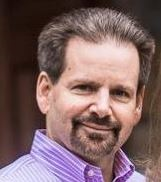 Marc Duey, President of ProMetrics, has over two decades of experience in the Pharmaceutical and Biotechnology fields. Mr. Duey founded ProMetrics in 1994 to provide data aggregation, integration, analysis and decision support to pharmaceutical companies. Under his direction, the firm has serviced over 140 clients and managed over 9,000 projects. ProMetrics is highly experienced in Specialty Pharmacy Data collection which provides full insight into the patient journey and dollar lifecycle. Marc Duey’s presentation, titled “Optimize Data Aggregation and Product Decisions Across the Spectrum of Stakeholders” will touch on several leading tactics that executives and their team can utilize to aid in strategic decision support for pharmaceutical brands. We hope that you will join us at CBI’s 2015 Hub Models and Program Design conference. This unique two-day event will bring together a dynamic assortment of Bio/Pharmaceutical leaders, whose expertise can provide insight into determining effective decisions on the challenges facing patient services and program effectiveness. For more information on ProMetrics, please visit our Website, LinkedIn, and Twitter pages. Today, bnocular (http://www.bnocular.com) announced its introduction of two new product line offerings, bringing consumer retail brand industry reports to buy-side investment firms, and its addition by Instinet as one of the select independent research providers marketed through its Instinet Access program. bnocular measures the in-store performance of competitive retail brands to discover trends and performance metrics before they’re visible to the public. With this announcement, two new product lines are also now available to investment firms. First, bnocular has officially launched the availability of its custom research programs that track specific retail brands or groups of brands. The company has brought to market technologies and methodologies that enable it to track the in-store performance of specific retail niches: women’s and men’s fashion, sportswear, mall REIT vacancies and tenancy turnover, fast-casual and restaurant company traffic, pricing and in-store ordering programs, among other retail niches. These programs are designed specifically for each requesting buy-side firm and cover brands over time frames and global geographies that are appropriate for delivering early insights. Second, bnocular will deliver a subscription product of an ongoing retail cohort analysis of the in-store performance of Michael Kors, Coach, Kate Spade, and Ralph Lauren. bnocular is tracking the changing dynamics of women’s handbag strategies and new lines of merchandise with pricing and discounting trends over time. This subscription product is available by quarterly commitment. bnocular deploys people with smart devices over wide geographic areas to quantify the physical world. The company measures the in-store performance of competitive retail brands to discover performance trends before they’re visible to the public. Employing proprietary mobile technology and data analytics, this work is delivered via bespoke programs, limited syndicated projects, and subscription products that track specific cohorts of competitive brands over time. Bnocular sells to financial investment firms, retail analysts, brands, and marketing agencies. For more information, please visit bnocular.com or call 888-510-7301. Instinet Access is a product group of Instinet that provides marketing support to independent third-party research providers. Instinet makes bnocular’s research available to clients upon request through subscription. Instinet and its affiliates aren’t affiliated with bnocular, play no role in producing bnocular’s research, and do not provide any input into bnocular’s content determination. For more information about Instinet Access, please call 888-819-5236. As the equity execution services arm of the Nomura Group, Instinet Incorporated’s subsidiaries, including Instinet, provide independent, agency-only brokerage services to clients throughout the world. Through its advanced suite of electronic trading tools, experienced high-touch trading group, and unparalleled access to insightful content and unique agency-only liquidity, Instinet helps institutions lower overall trading costs and ultimately improve investment performance. Over the course of its more than 40-year history, Instinet has introduced a range of now industry-standard trading technologies, as well as the world’s first major electronic trading venue, one of the first U.S. ECNs, and most recently, the Chi-X businesses. Instinet is a registered trademark in the U.S. and other countries throughout the world. For more information, please visit instinet.com. Synerzip, an Agile Software Product Development Partner Company, announced that it has joined the Hortonworks Systems Integrator Partner program and will be delivering big data solutions powered by Hortonworks Data Platform (HDP). Hortonworks is the leading contributor to and provider of Apache™ Hadoop®. Synerzip’s customers can now benefit from easier integration with Hadoop to a Complete Big Data Analytics Platform. By joining the Hortonworks Systems Integrator Partner program, Synerzip strengthens its ability to implement enterprise-level big data solutions including Hortonworks Data Platform, the industry’s only 100-percent open source Hadoop distribution, explicitly architected, built and tested for enterprise-grade deployments. Synerzip’s product development services enable customers to scale their products efficiently and cost effectively. With the integration of Hadoop, customers now gain immense insight into their businesses by using Predictive Analytics and Machine Learning. “Numerous Synerzip customers rely on Big Data Analytics and Machine Learning for deriving critical business insights from their data assets. This partnership helps us deliver on the promise of providing a scalable, highly available and secure architecture; and allows our customers to take complete advantage of the most innovative big data platform on the planet,” said Rohit Ghatol, Director of Engineering at Synerzip. Hortonworks Data Platform was built by the core architects, builders and operators of Apache Hadoop and includes all of the necessary components to manage a cluster at scale and uncover business insights from existing and new big data sources. With a YARN-based architecture, HDP enables multiple workloads, applications and processing engines across single clusters with optimal efficiency. A reliable, secure and multi-use enterprise data platform, HDP is an important component of the modern data architecture, helping organizations mine, process and analyze large batches of unstructured data sets to make more informed business decisions. Synerzip works as a co-development partner for venture-backed software companies in their growth phase. Following Agile practices, Synerzip seamlessly dovetails with each client’s engineering team; helping them scale up, in a flexible, capital-efficient and frictionless manner. For each client, Synerzip creates a software team that is tailored for them – with required skill mix, including mobile, cloud, big-data analytics and enterprise software. Synerzip is headquartered in USA and has its development center in India. This dual shore model gives clients the ability to tap into Synerzip’s superior engineering talent to accelerate their time-to-market while cutting development costs by 50%. KnockTV, LLC and Heartbeat International today announced a national partnership agreement to jointly promote and support KnockTVs new groundbreaking Christian reality TV series Surrender The Secret . KnockTV is partnering with Heartbeat International to promote Heartbeats Option Line in connection with Surrender The Secret . The Option Line (800-712-HELP) is a 24 hour helpline for women faced with an unplanned pregnancy. Viewers of Surrender The Secret, as well as visitors on the website, will be directed to the Option Line if they are facing an unplanned pregnancy and are in need of assistance. KnockTVs branded Partner Program is developed for organizations who wish to engage in the growing grassroots effort to spread the word about the new groundbreaking Surrender The Secret series. By joining the National Partners Program for Surrender The Secret , Heartbeat International will introduce the show to their affiliates, partners and supporters around the world, identifying the show as a new and innovative way to help people understand the effects of abortion, and that there is healing available to them. 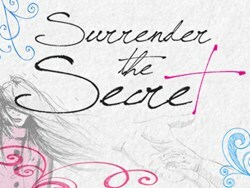 Surrender The Secret is a 10-episode, Christian reality TV series following five women who tell their stories about having abortions in their past, and take a healing journey together. The women surrender their deepest, darkest secrets, and admit to aborting a past pregnancy. The women form tight bond and embrace each other as they go on this journey together, sharing their abortion stories, learning about Gods love and forgiveness and getting set free from the bondages of their past decisions. Information and a preview of the show can be found at http://www.KnockTV.com/SurrenderTheSecret. Surrender The Secret is groundbreaking and innovative. It provides a real and truthful approach to the devastating effects of abortion on women and the hope and healing that is possible. Heartbeat International is proud to have KnockTV utilize the life-saving services of the Option Line, and to become part of KnockTVs National Partner Program, said Dr. Peggy Hartshorn, President of Heartbeat International. Heartbeat International is a recognized leader around the world in pregnancy help ministries, and its Option Line is a tremendous benefit and blessing to Surrender The Secret . KnockTV is proud to partner with Heartbeat International, and welcomes the credibility and support that it provides to our show and our mission, said Geoffrey Rogers, President & CEO of KnockTV. KnockTV is established to redefine what Christian television means in America. This is being done through the distribution of an entirely new breed of Christian television programming. KnockTV is breaking the mold in the industry by distributing high quality, mass appeal programming for Christians throughout the country. Programming on KnockTV is distributed to computers, mobile and handheld devices via the Internet, with more information about Surrender The Secret online at http://www.KnockTV.com/SurrenderTheSecret. KnockTV is targeting alternative distribution technologies and cablecasting soon. Heartbeat International works to inspire and equip Christian communities worldwide to rescue women and couples from abortion through the development of neighborhood pregnancy help centers, maternity homes, and adoption services. These ministries provide life-saving help in a truly life-changing way by assisting women who are at risk for abortion with the life-affirming, practical support they need to choose life, then prepare them to parent or to place for adoption. Heartbeat International serves as the leadership supply line for the Pregnancy HELP Movement worldwide. More information about Heartbeat International can be found at http://www.heartbeatinternational.org.